The Shack houses several invaluable facilities all of which are available to the local community. This is well used by local residents and is popular with families in the community not least because of its soft play facility. It offers a large comfortable seating area and is open every weekday offering a wide range of drinks, snacks and light meals. 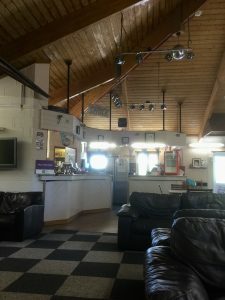 The Cafe is available for hire for private parties including birthday parties, school leavers dos and family occasions. Just outside the Café is a popular all weather table tennis table. 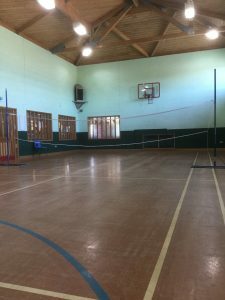 This hall is intensively used by a number of local clubs and organisations to play a wide variety of indoor sports including five a side football, badminton and table tennis.